Opportunity. It’s about more than just competition on the field, it’s about the journey in the classroom and in the community on a “quest for excellence”. Our mission, as an athletics department, is to enhance the student-athlete experience by supporting the academic and athletic endeavors of 800 student-athletes as they transition from young men and women to the leaders of tomorrow. Give Green. Go White! 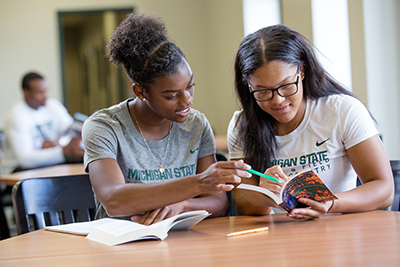 You can support opportunities for Spartan student-athletes in the classroom, in competition, and in the community. By investing in champions, you encourage Spartan student-athletes to earn a world-class education while playing the sport they love. Your support allows us to provide championship-level facilities, a strong endowment, and increased annual giving to enhance the experience for our Spartan student-athletes.